Veii also occupies a privileged position in the history of archaeology itself. Investigation within the city really began with the work of a number of distinguished scholars – Gell, Nibby, Canina, Dennis, Stefani, Lanciani, Colini and Giglioli – from the second quarter of the 19th century onwards. The beginning of intensive and systematic research, however, did not come until after WW2 through the initiative of John Ward-Perkins, then Director of the British School at Rome. He realised that the rapid mechanisation of agriculture under way at that time would bring about widespread destruction of the archaeological resource but at the same time create unprecedented opportunities for investigating what was inevitably at risk of destruction. His response was to initiate a survey at Veii that radically changed our understanding of the city and its surrounding countryside while at the same time revolutionising the methods and practice of what has subsequently become known as ‘landscape archaeology’ within the Mediterranean world (Ward-Perkins 1961; Potter 1979). In more recent times the University of Rome ‘La Sapienza’ has been undertaking the ‘Veii Project’, first under the leadership of Prof G. Colonna, then Prof G. Bartoloni and now Prof M.T. D’Alessio. 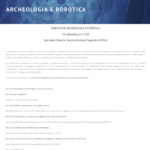 This project has brought together committed research teams under the supervision of Prof G. Bartoloni, Prof A. Carandini and Prof M. Fenelli and has also involved the Archaeological Superintendency through Dr. F. Boitani and the CNR in the person of Prof M. Guaitoli. 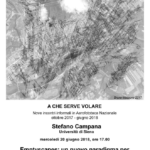 To Prof Guaitoli in particular there has fallen the task of systematic research in the collection and analysis of large numbers of aerial photographs taken between 1929 and 2010, involving the accurate mapping of all the features identified as a result of air photo interpretation. The overall result of the work undertaken so far has brought about a very substantial improvement in our understanding of the city and its surroundings.